KELK George Kelk Corporation, CANADA. LOAD CELLS for roll force measurement in Rolling Mills. 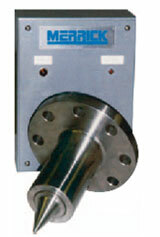 TENSIONMETERS for tension measurement in hot strip mills, cold strip mills and processing lines. ACCUBAND strip width gauges and crop optimisation systems. ABSOLUTE DISPLACEMENT Transducers for accurate position sending. FLUID PRESSURE Transducers for critical applications. Kiene serves the following industries - Worldwide! An Emerson Power Transmission group company manufacturing heavy-duty industrial shaft couplings, gear spindles, contact ground gear, U-joints, gear couplings. Applications are in gas D steam Turbines, Centrifugal and Axial compressors, marine propulsion and generator sets. The KOP-FLEX couplings never need lubrication, with reduced windage configurations. MERRICK INDUSTRIES INC. USA, has remained a driving force in the advancement of dynamic weighing and material handling technology with a full line of products for POWER GENERATION. NFPA & Fluidized-bed coal feeding solutions. 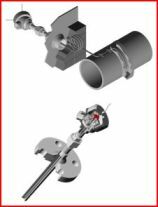 For detecting material flow or flow interruption in pipes or downspouts. Particularly suited to installations where nuclear type detectors are unacceptable. For 24" (100 lbs) feeder and 36" (150 lbs) feeder. MATTCO, founded in 1947, is the leading independent manufacturer of Fluid End Modules for all makes and models of Mud Pumps used for Oil and Gas Drilling Rigs. TTE Xtra-Life Brake Rims and Disc Brake Rotors with their overlaid hard surface are the standard of the drilling industry. BEAR Twin Stops and Automatic Drillers are used worldwide for safe and efficient drilling operation. Numatics are the pioneer manufacturers of pneumatic components for automated machinery used in Petro-Chemical, Packaging, Marking, Food Processing, Bottling, Aerospace, Textile, Glass and many more industries. Their Product range consists of Air Valves, Poppet Valves, FRL's, Filter Elements, Regulators, Air Dryers. ROBERTSHAW, AN INVENSYS GROUP COMPANY, is a global electronics and engineering company created to solve your total management and control requirements. Robertshaw Self actuated temperature regulators have been a part of GE Gas Turbines. "CENTERON' WIRELESS LEVEL MANAGEMENT SYSTEM & LEVEL CONTROL INSTRUMENTATION. 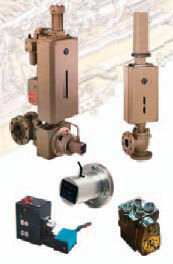 CONTROL VALVES, PNEUMATIC CONTROL SYSTEMS. Relays, Temperature / Pressure sensors, Switches & Controllers). Established in 1941 Thermo Electric TE is The Design Leader and Premier Manufacturer of Industrial Temperature Sensors serving customers throughout the world. For over 65 years the TE logo has been associated with every processing industry offering both quality and experience second to no other manufacturer of temperature sensors. Designed by an exceptional engineering team and manufactured by industry leading technicians our Thermocouple and RTD assemblies fulfill the highest standards in meeting our customer design applications. Snap-on tools, USA, the undisputed leader in manufacturing quality tools and service equipment for over 80 years, offers a mind-boggling range of over 16,000 different types. Flank-drive Plus wrenches and sockets offering 62% more torque. Versatile convertible pliers that reach further and grip harder. Click-type and dial-type torque wrenches having up to 1% accuracy. Pneumatic / Electric power tools. Life-time warranty on hand tools. TAPCO International USA is the world's largest manufacturers of slide valves and other custom valves of all types; Hot & Cold Shell, Plug, Diverter, Butterfly, Angle Globe, Knife Gate, Isolation Gate & Swing Diverter Valves. TAPCO products are quality driven from the start. You will find TAPCO installations in the toughest industrial applications in Catalytic Cracking units, Synthetic Fuel Plants, Hazardous waste incinerators, Mining Ore reduction Plants. Anywhere, Abrasive & high temperature process requires the most reliable flow control components. TAPCO International, the world's largest manufacturer of slide valves, has installed more than 1500 valves in refineries worldwide. Taylor Winfield specializes in a wide range of automated standard and manually controlled machines for high and low frequency applications. Since 1958 Thermionics has designed, developed, and manufactured ultra high vacuum (UHV) equipment for scientific and industrial applications. Our products are the result of careful research and development, rigorous testing, and continuing performance evaluation. Our commitment to quality and reliability is backed by a 5 year warranty. For new components and systems, or the modification and repair of existing equipment, Thermionics will deliver the best equipment and value to you. Universal Flow Monitors, Inc was incorporated in 1963. It is a closely held company owned and run by Erik and Lars Rosaen. This family owned business started out making variable area flow switches for the automotive market. They were used largely for lubrication flow, cooling water and paint and this remains true today. Over the years, Universal has added flow indication and flow transmitters to the basic design platform. We have also added the Insite® and FlowStream® product lines. Insite® is a plastic see through flow indicator used for water , de-ionized water and dilute chemicals used in waste water treatment. The FlowStream® product uses a different technology to measure the mass flow of clean gasses where fast response and survivability are key. In 1999, Universal acquired 50% of Norco Products, Inc which makes water shut off valves used in resistance welding applications. Putting it all together, Universal and Norco (renamed Rocon) make flowmeters and controls for fluids used in high production. The products are characterized by a simple and robust design backed up by high customer service and dedication to quality. Young & Franklin, USA established in 1918, an ISO 9001 certified, had decades of experience in the design and manufacture of Fuel and Turbine control for industrial turbines. Their products are on turbines used for land and Offshore platform based power generation, and pipeline compressor drives. Intel guide vane actuator (IGV) for all FUEL systems. Stop ration valve (SRV) for all Gas Control Valve (GCV) for all GAS system. Fuel Oil Stop & Fuel Oil Bypass valve. Splitter & Transfer of DLN. Ratchet sequencing control & value. 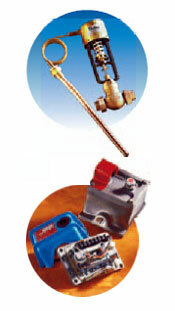 Hydraulic, Electro-Hydrostatic and Electro-Mechanical Actuators for natural gas, liquid fuel and steam valves. Secondary fuel nozzle actuators (older turbines). Lube oil temperature and pressure control valves. Electronic controls analog and digital. 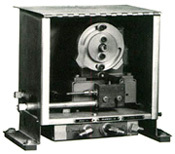 Linear & Rotary Variable Displacement Transducer ( LVDT & RVDT). 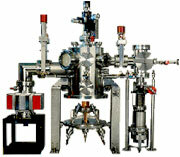 Servo valves Custom products like small skids for NG or liquid control, Fuel rails.